This is a beautiful natural blue Sapphire loose gemstone that comes from Bangkaja mine in Thailand, this natural sapphire has a stunning intense and bright blue color, cut in a pear shape that help to show its incredible VVS clarity and the awesome color. 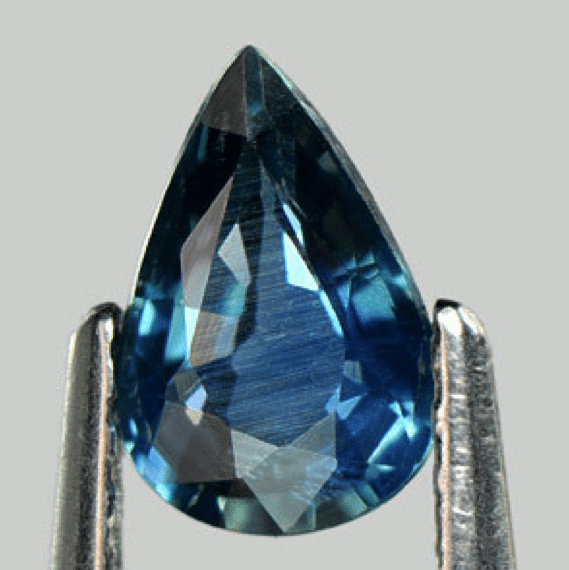 This natural blue sapphire has good luster and clarity, weight 0.61 carat and it was treated only by heat, to improve color saturation and clarity, no external material was added. Don’t miss this beautiful sapphire, this is perfect for your gemstones collection or to be set in a precious jewel like a platinum ring or a gold pendant. Dimensions: 6.9 X 4.6 X 2.6 mm.